In a few days, we will send notification letters to all of the authors. To make this time more bearable, we would like to share some news with you. We are happy to announce the fourth of our keynote speakers for the PoCP 2017 – Grzegorz J. Nalepa. 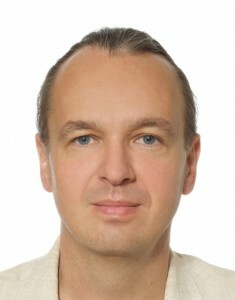 Grzegorz J. Nalepa is an engineer with degrees in computer science – artificial intelligence, and philosophy. He has been working in the area of intelligent systems and knowledge engineering for over 15 years. He formulated the eXtended Tabular Trees rule representation method, as well as the Semantic Knowledge Engineering approach. He authored a book “Modeling with Rules using Semantic Knowledge Engineering” (Springer 2017). He co-edited a book “Synergies Between Knowledge Engineering and Software Engineering” (Springer 2017). He has co-authored over 150 research papers in international journals and conferences. He coordinates GEIST – Group for Engineering of Intelligent Systems and Technologies (http://geist.re) cooperating with AGH University and Jagiellonian University in Krakow, Poland. For almost 10 years he has been co-chairing the Knowledge and Software Engineering Workshop (KESE) at KI, the German AI conference, Spanish CAEPIA, as well ECAI. He is the President of the Polish Artificial Intelligence Society (PSSI), member of EurAI. He is also a member of IEEE, Italian Artificial Intelligence Society (AI*IA), KES, Polish Cognitive Science Society (PTK). His recent interests include context-aware systems and affective computing.